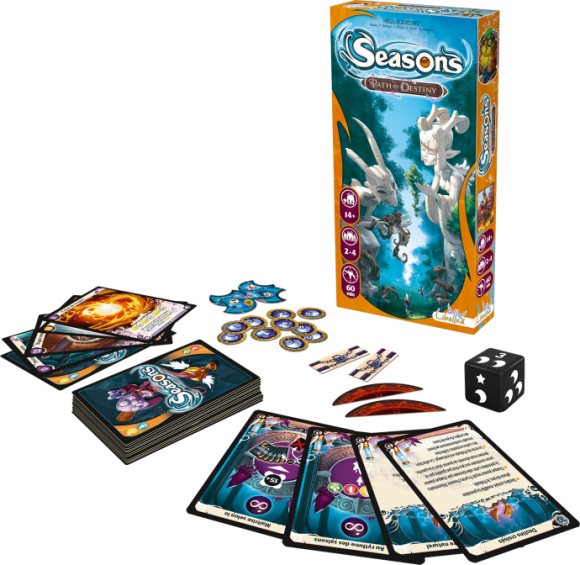 Seasons: Path of Destiny, adds a new dynamic to your Seasons game, along with a host of diverse items, familiars, enchantments, modifications, and other cards. The primary feature of the expansion is the Destiny dice, which gives players the options to employ a certain enchantment in order to roll the dice as an alternative method to get crystals. If you are a big fan of Seasons, you will love this expansion and will enjoy the new options available. Add a Review for "Seasons: Path of Destiny"